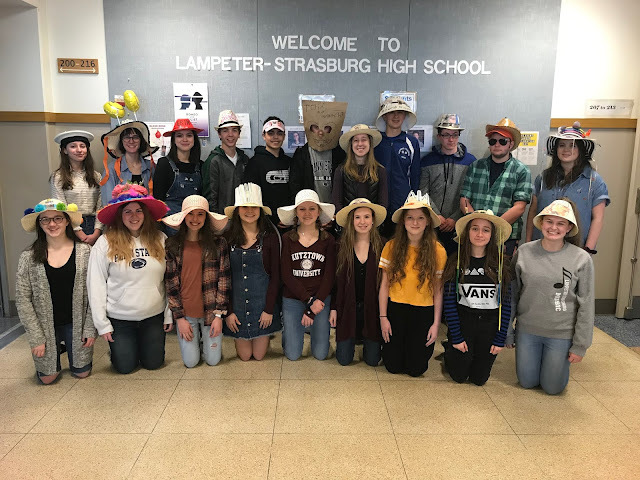 Lampeter-Strasburg girls' tennis beat ELCO on Wednesday, impressively bagging yet another 7-0 win. Sami Williams contributed to a doubles win. Aces, volleys, and slices were just some of the many successful shots utilized in both doubles and singles. "Dang, we're killing it in doubles!" was declared by Kaknika Viset, and it was an appropriate response, as they were won relatively quickly. Kate Knarr blowing leaves off the courts before the match begins.